Bro. Anil Kumar was an orthodox Brahmin by birth. However the passion that he has developed towards the living God has made him the renowned Evangelist, marking a turning point in his life which made a phenomenal growth as an international Evangelist. The founder and chairman of AWE, Bro. Anil Kumar was an orthodox Brahmin by birth. However the passion that he has developed towards the living God has made him the renowned Evangelist, marking a turning point in his life which made a phenomenal growth as an international Evangelist. Bro. Anil Kumar is now actively fulfilling around the world, the mandate that God has given him to preach the God’s unmerited favor without compromise. He heads AWE ministries, an international organization that seeks to build, encourage and inspire people with good news of Lord Jesus Christ. Bro. Anil Kumar as an international evangelist remains committed more than ever to preach the glorious gospel of Jesus Christ, teaching the unchanging word of God. His powerful messages continuous to transform many lives, bringing them to salvation, setting people free from the heavy yoke of religion, guilt condemnation by pointing them to Jesus and His finished work at Calvary. Bro. Anil Kumar believes the best in people, and is committed to helping them discover how they can reign in life thru the abundance of grace and of the gift of righteousness. His desire is to help this generation of believers understand the new covenant of grace and realize how greatly blessed, highly favored, and deeply loved they are, by their Heavenly Father. Amen! People around the world know Bro. 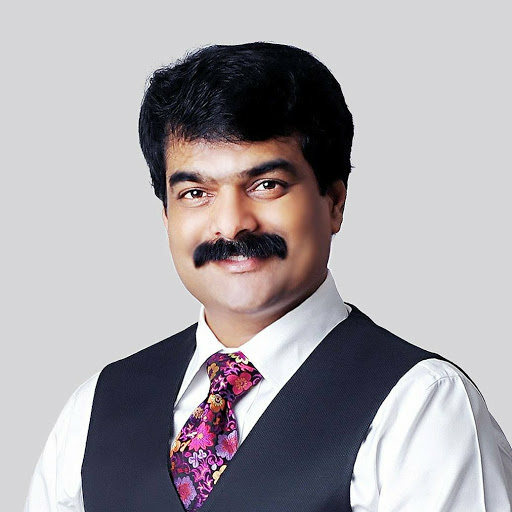 Anil Kumar as a noted International Evangelist. But there is much more to the story of the man and ministry now impacting the world with the lifesaving and miracle working message of the gospel of Jesus Christ. With more than 12 years of fulltime ministry behind him. Bro. Anil Kumar is today a leading voice in proclaiming the gospel of grace around the world. He is preaching the gospel, thru television, thru miracle crusades, thru pastors meetings, thru youth ministry and various conferences. The evangelist’s straightforwardness and the uncompromising message of God’s love have inspired lakhs of people to have a personal relationship with Lord Jesus Christ. A highly sought after Evangelist, Bro. Anil Kumar impacted many Christians by preaching the unadulterated gospel of Jesus with boldness. He is known for teaching God’s word in a fresh practical and revelatory way that always unveils Jesus. Today Bro. Anil Kumar continuous to take the message of God’s saving and healing power to the world. How to be saved is within the reach of every human being on the face of the earth. When Jesus Christ died on the cross, He provided salvation for all.“And when I am lifted up on the cross, I will draw everyone to myself.”He said this to indicate how he was going to die” (John 12:32-33). Salvation has been provided; it now must be accepted. Once a man or woman recognizes the need for salvation and realizes that God has provided for their salvation through Jesus Christ, he or she must go on to embrace it. Salvation is simply a process of confessing and believing. A man must confess that Jesus is Lord, which signifies his realization that Christ must have full rule over his life with all of His righteous requirements. This confession of Christ as Lord also assumes that it is Christ who will work and fulfill His own righteousness within man. Next, he must believe that God has raised Jesus Christ from the dead. This belief in the death and resurrection of Jesus carries with it the realization that the penalty has been paid for sin and power is provided for man to live a life free from sin. Thus man’s relationship to God is restored. “For if you confess with your mouth that Jesus is Lord and believe in your heart that God raised him from the dead, you will be saved. For it is by believing in your heart that you are made right with God, and it is by confessing with your mouth that you are saved. As the Bible tells us, “For if you confess with your mouth that Jesus is Lord and believe in your heart that God raised him from the dead, you will be saved. For it is by believing in your heart that you are made right with God, and it is by confessing with your mouth that you are saved” (Romans 10:9-11). Do you feel unworthy to “go to heaven”? Peace with God is within your reach. Brother anil kumar jesus christian audio hit songs telugu free download mp3 2012, 2014, 2015, 2016, 2017, 2018 latest video songs free download.